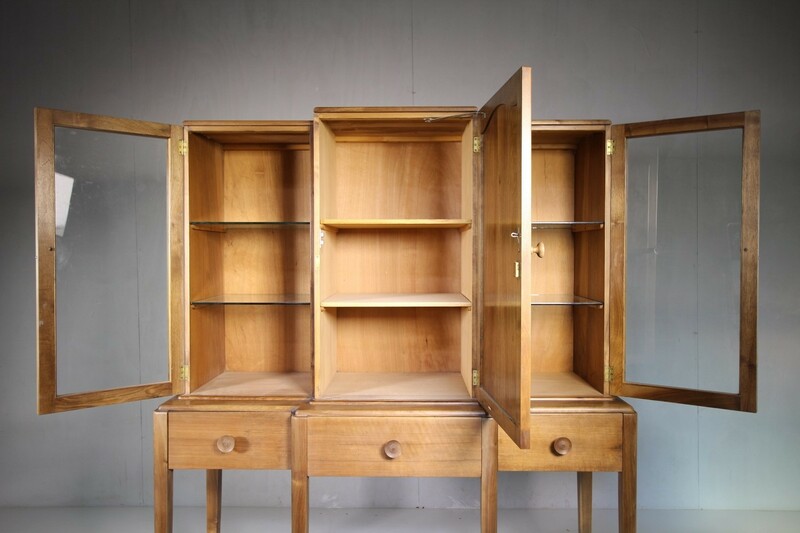 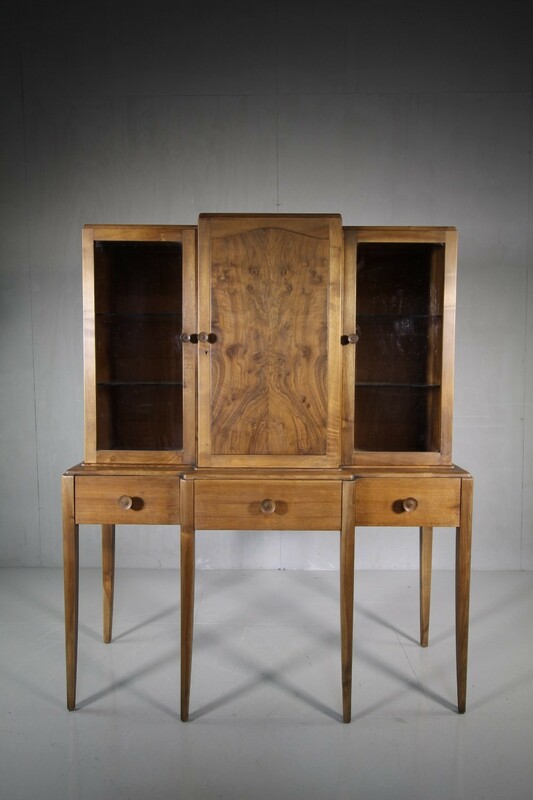 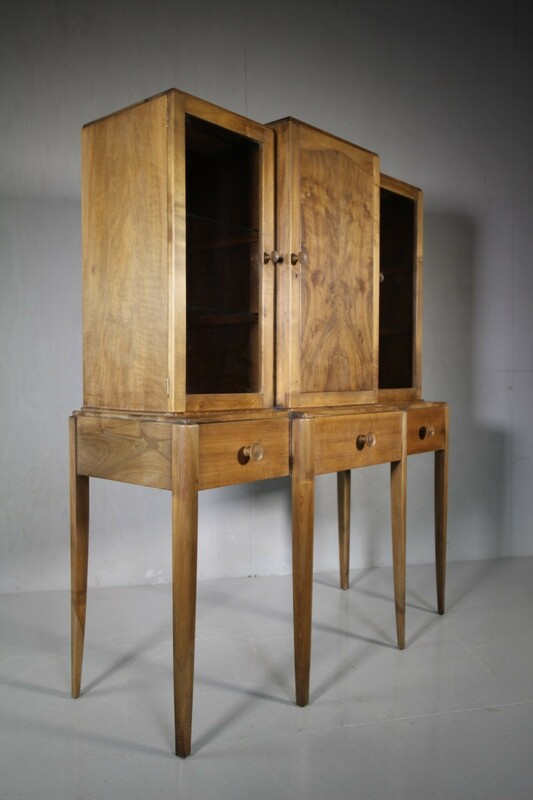 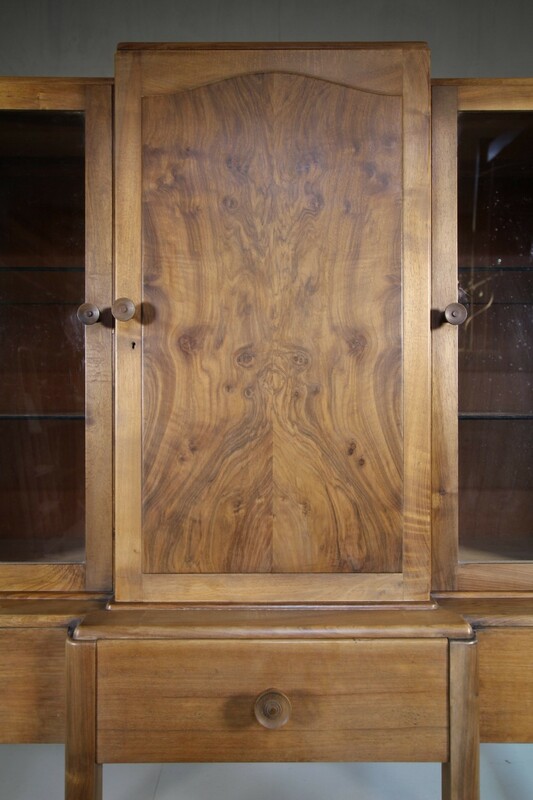 A fabulous quality, English walnut display cabinet, made to a very high standard by Arthur Reynolds of Ludlow. 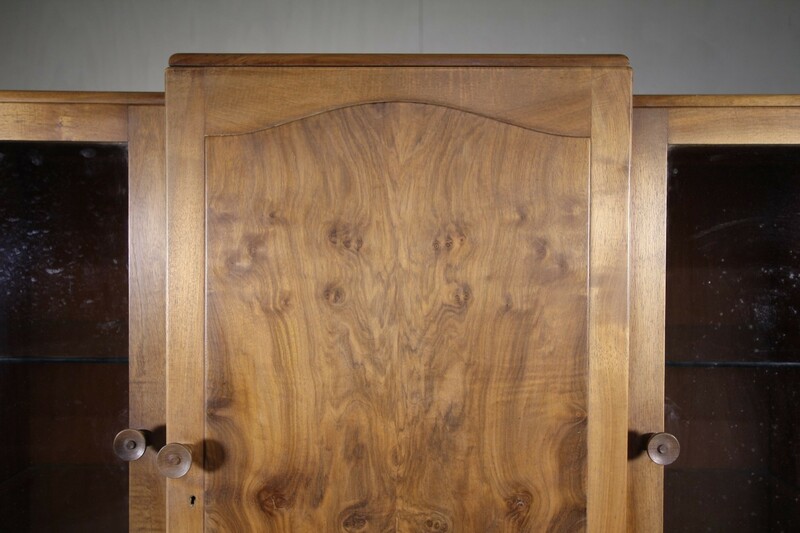 The pale walnut cabinet features two glazed outer doors to the top section with a solid walnut central door with an arched panel. 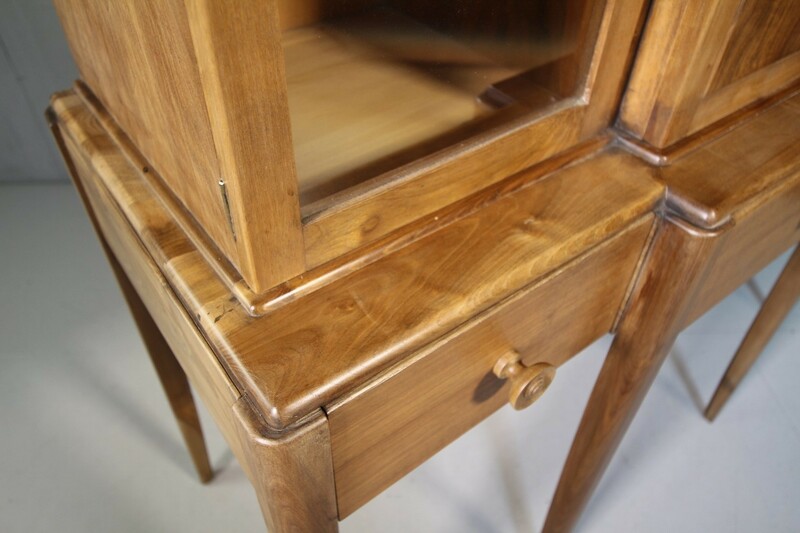 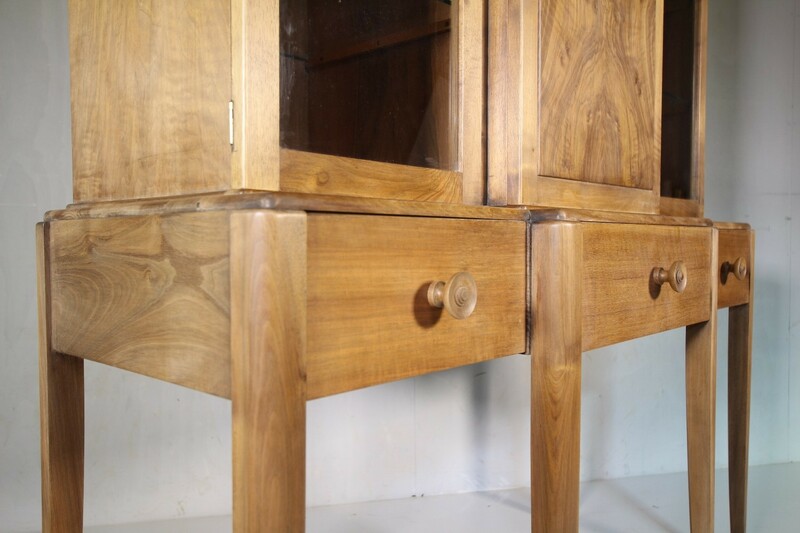 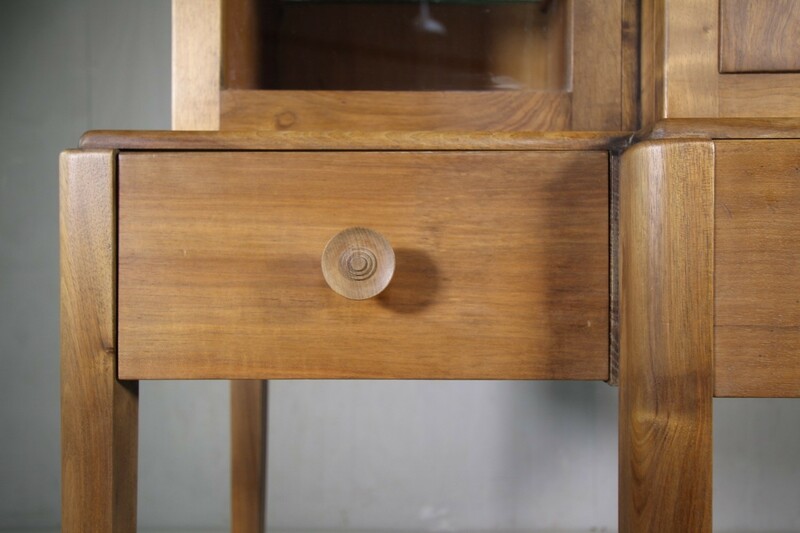 The cabinet base has six lovely, tapering legs with three drawers above, all complete with the original handles. 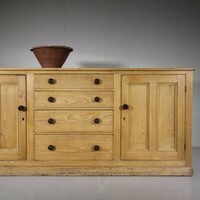 In very good, clean and orignal condition.